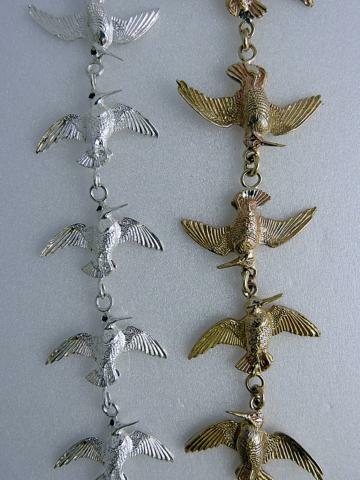 We have used the flushed woodcock in right and left forms to make these Silver and 9ct Gold bracelets. 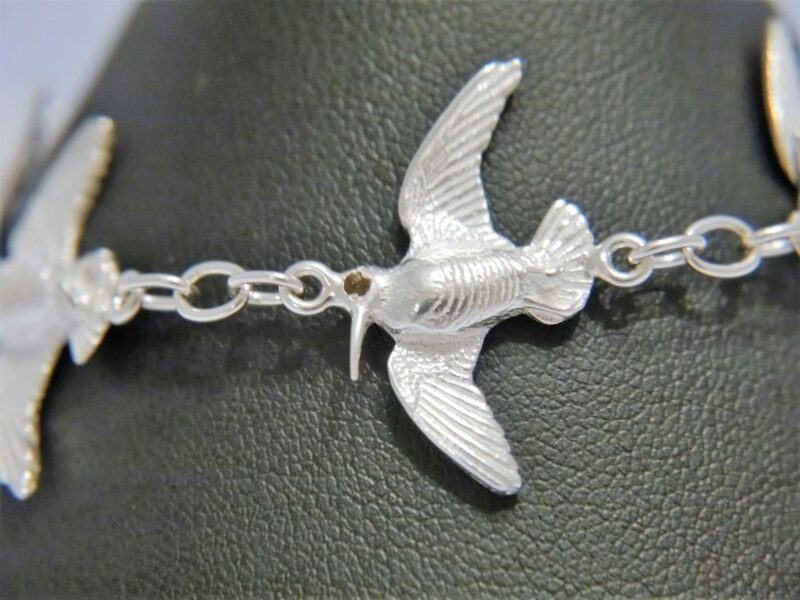 The string of birds, one right facing the next left facing, fly towards one another to meet in the middle of the wrist. 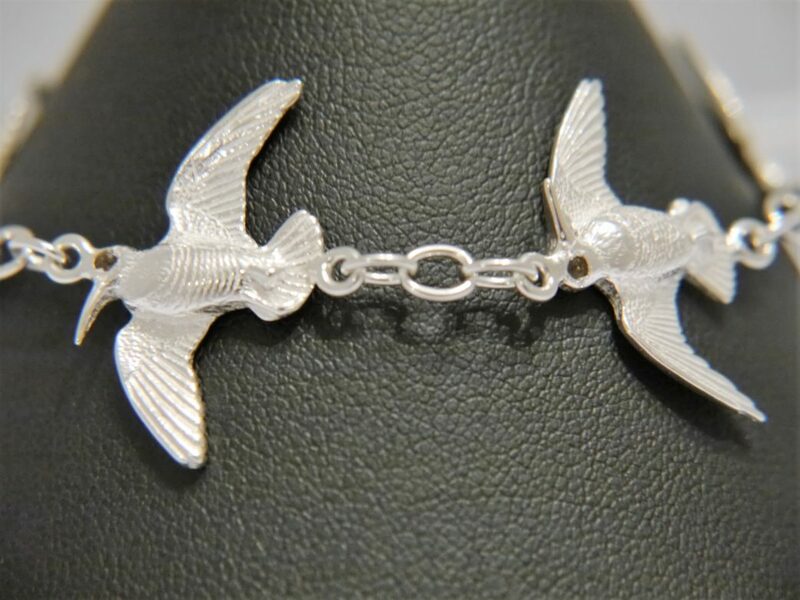 Silver Woodcock Bracelets with Feather Fastening – The fastener is a silver pin feather which fits into a silver figure of eight retainer through which the feather will only just go – result – the bracelet will never fall off! 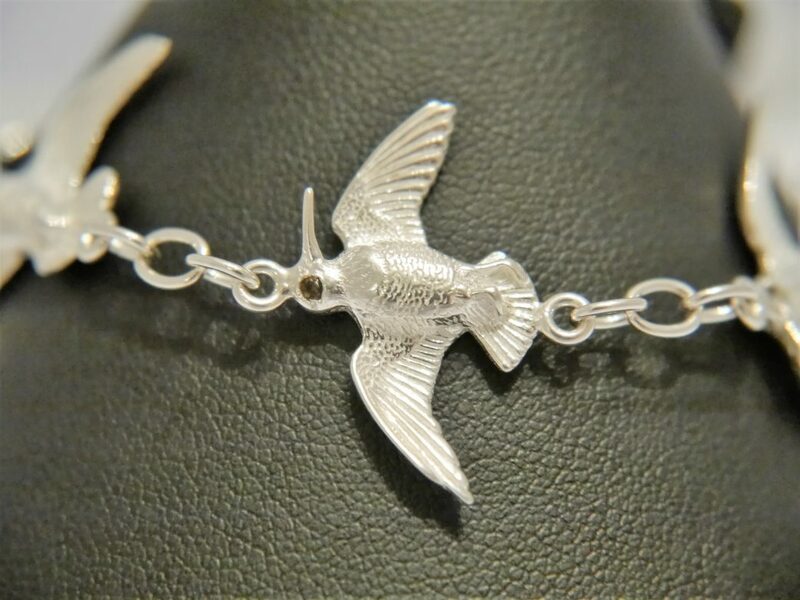 Silver Woodcock Bracelets with Clasp fastening has the feather as a charm near the clasp fastening. 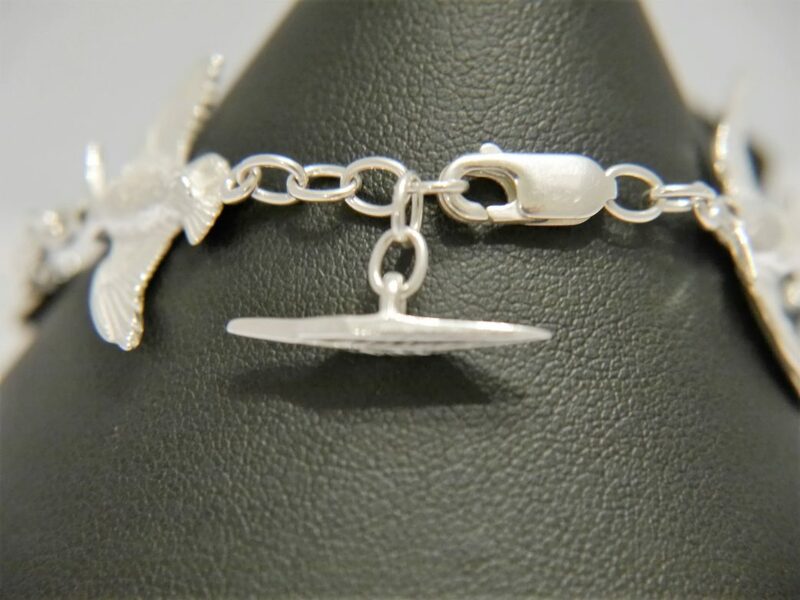 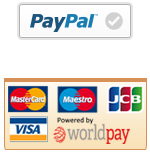 Wrists vary and we can accommodate this, our average length of bracelet is 7 and 1/2 inches but we can easily vary this.